For over 25 years, Evening Entertainment Group has been responsible for creating unique and exciting dining and entertainment venues. Ranging from sophisticated restaurants like RnR Gastropub to elevated experiences like Skylanes, there is always a wonderful time to be had at an EEG venue. EEG venues can host everything from corporate events to fashion shows, but sometimes it’s the little moments (and little guests!) that stand out. Between photos of glamorous galas and delicious food, this champion bowler catch someone’s eye while scrolling through social media. Upon closer inspection, they’ll realize that this is a photo of a truly meaningful moment for the poster. This picture leaves customers with the knowledge that Skylanes is more than just a place for fun, it’s also a place to make memories. It’s no secret that influencers are a powerful social marketing tool, but not everyone needs a multi-million-follower celebrity to promote their venue (in fact, big endorsements can be virtually useless). 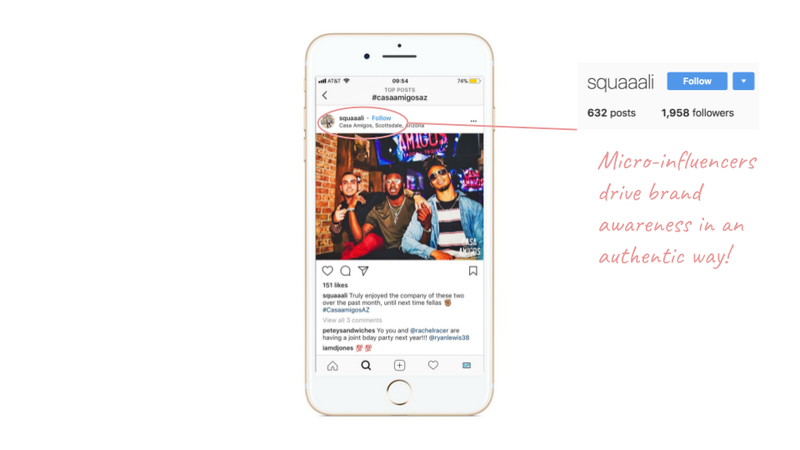 Micro-influencers, those who have between 1,000 and 100,000 followers, have been shown to drive the highest engagement on social media while maintaining authenticity and relevance for brands. When this micro-influencer tags Casa Amigos in his photo, he makes sure that the vast majority of his followers register that it is the place to be. User generated content isn’t the only way EEG venues are mastering the “UPshow effect.” A well-crafted spotlight can provide guests with a strong impression of a brand’s personality and help them feel more connected to the atmosphere and the experience. The spotlight above, from Backyard in Dallas, promotes a weekly event while also showing off their dog-loving attitude! For more spotlight inspiration, click here. Newer PostUPdate: BillFixers is Our Newest Partner! Older PostUPdate: MicroFantasy is Our Partner!